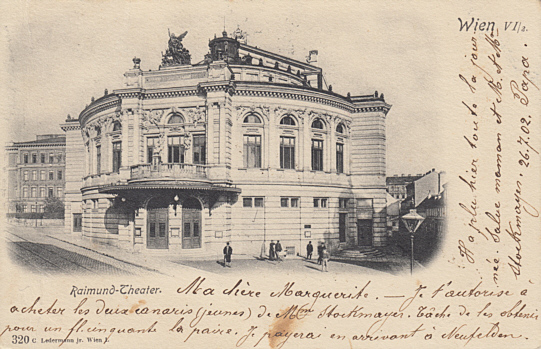 Built in 1893 as a private theatre by Franz Roth. 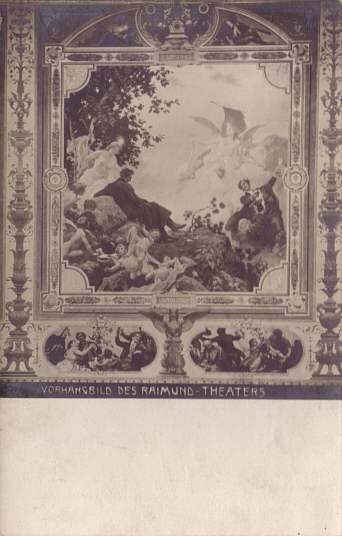 Named in honour of the Austrian actor and playwright, Ferdinand Raimund (1790-1836) Opened 28 November 1893 with Raimund's drama "Die gefesselte Phantasie" (with music by Wenzel Müller). 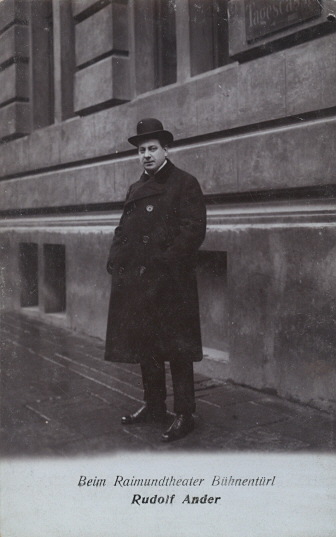 Originally used for drama performances. 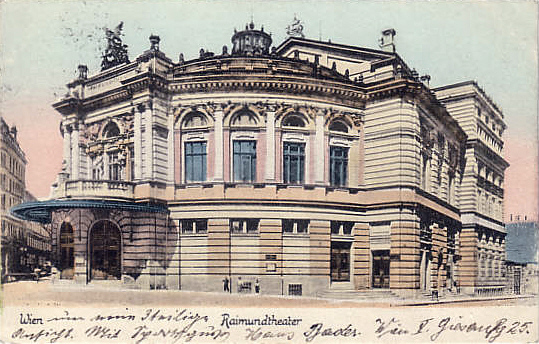 Since 1908, mainly used for operetta performances. 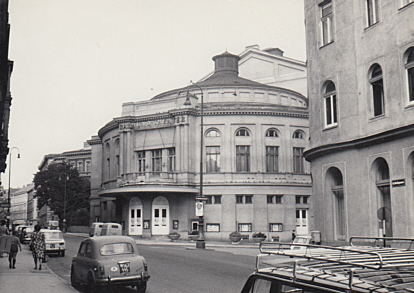 Since 1976, also used for musical performances. 1985 restoration. 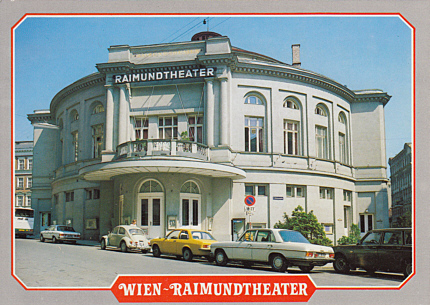 Since 1987, operated by "Vereinigte Bühnen Wien". Mainly used for major musical performances. 1640 seats. 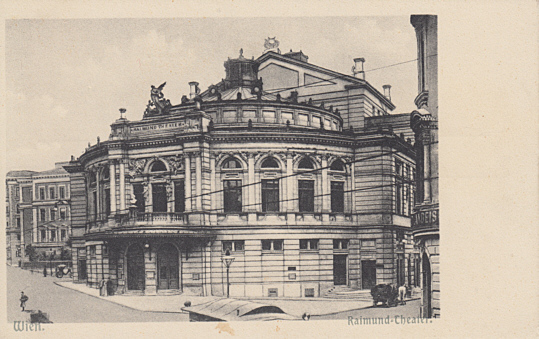 Front Text: "Wien VI/2", "Raimund-Theater"
Front Text: "Vorhangbild des Raimund-Theaters"
Handwritten Reverse Text: "Wien, Raimundtheater Sept. 1965"
Front Text: "Wien - Raimundtheater", inscription: "Raimundtheater"
Reverse Text: "Wien - Vienna - Vienne - Viena; Raimundtheater"
See also Wien: Volkstheater for a Maximum Card with a postmark showing the Raimund-Theater.